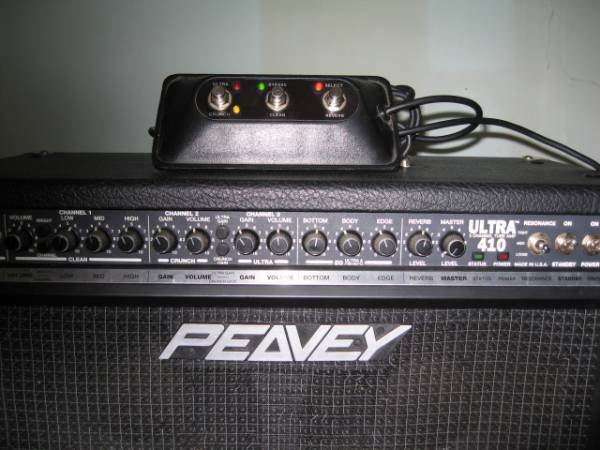 Peavey Ultra Plus Head - "Bang for Buck Tube Champion!" Peavey Ultra Plus Head - "Great sleeper amp"
Peavey Ultra Footswitch - "Couldn't have Peavey made it wider?" Peavey Ultra 112 Combo - "Metal Monster little combo"
Peavey Ultra 212 Combo - "makes you scream"
Peavey Ultra Plus Head - "Decent amp for the money"
Peavey Ultra 212 Combo - "Very versatile amp, but excels at Metal!" 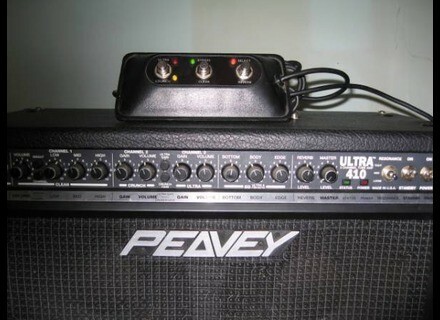 Peavey Ultra Plus Head - "Plus one for the Ultra Plus."